To open the website, type "http://localhost" in your browser's navigation bar and press Enter. Figure 2.3 shows the site in action. On the page that appears, you can see the navigation menu at the top. The navigation bar currently contains the single link named Home. 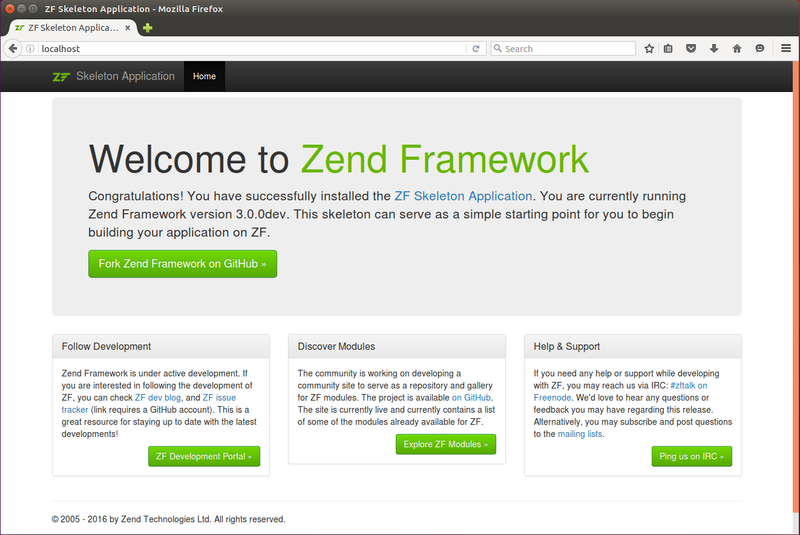 Under the navigation bar, you can see the "Welcome to Zend Framework" caption. Below the caption, you can find some advices for beginners on how to develop new ZF3-based applications.